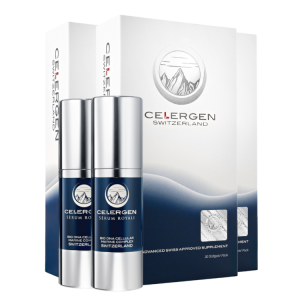 The only way to get young, healthy, vibrant skin is to heal and rejuvenate the skin cells internally within your body. Needle-based procedures have long been the most effective way to reverse the visible effects of aging. 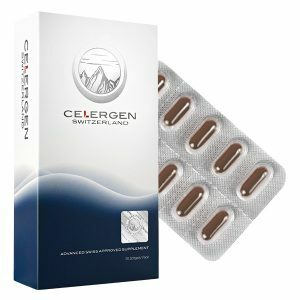 A pioneer of European needle-based cell-therapy for more than 30 years, Celergen has revolutionized the industry once again. What was once only available through a needle now comes in a soft-gel capsule – helping to reverse the effects of aging, from the inside out. Many individuals have traveled to Switzerland on a regular basis to undergo cell therapy injections not legally available in the United States. Adherents have cited numerous positive results, including healthier skin, hair, and nails, improved sleep, increased energy, along reduced joint and arthritic pain. Years of research eventually led to the development of our non-injectable, natural cell therapy treatment. We are pleased to announce the dawn of a new age of enlightenment in regards to how to repair years of skin damage. Our advanced regenerative therapies capture the powerful elements of cellular therapy, delivering amazing results and address the most visible signs of aging.